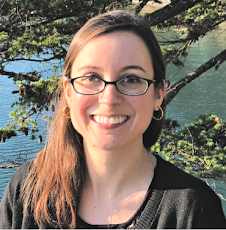 Rachel Brooks: Congrats to Tricia Levenseller! 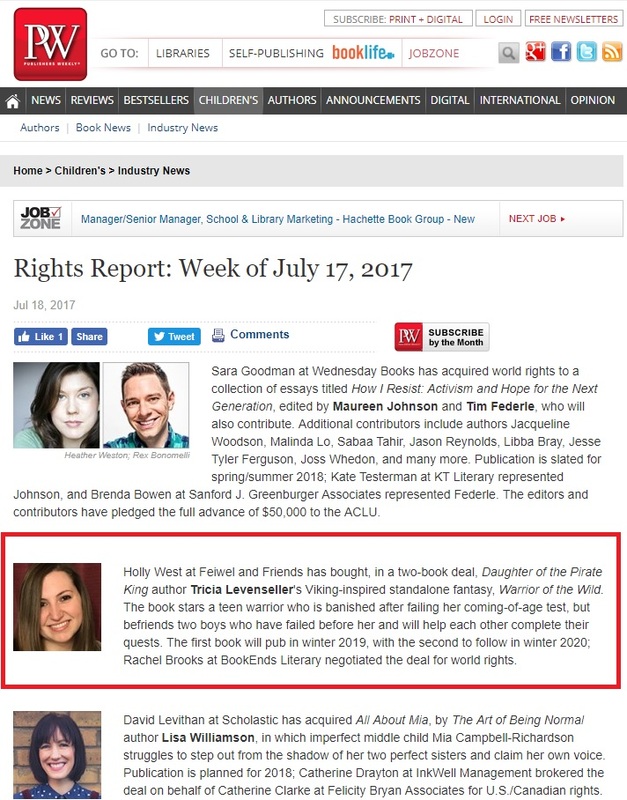 "Holly West at Feiwel and Friends has bought, in a two-book deal, Daughter of the Pirate King author Tricia Levenseller's Viking-inspired standalone fantasy, Warrior of the Wild. The book stars a teen warrior who is banished after failing her coming-of-age test, but befriends two boys who have failed before her and will help each other complete their quests. The first book will pub in winter 2019, with the second to follow in winter 2020; Rachel Brooks at BookEnds Literary negotiated the deal for world rights."